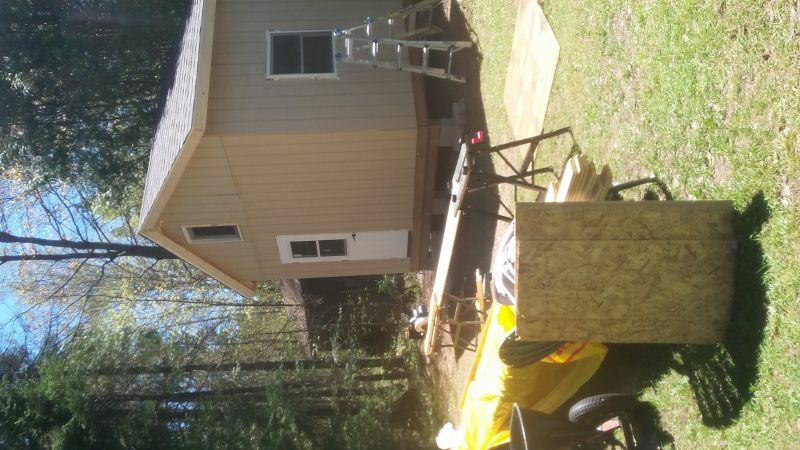 I am considering building a little 12x16 bunkie. Wondering if I could use shed blocks on gravel. Also curious if I could knock them out so I could use some 4"x4" x 16' and build the floor framing on top of that. They are pre fabbed to accept 2by lumber but was hoping to get a little higher and do not like the appearance of them poking out the sides of the structure. I don't think you want to use 4x4 to do that. A single 2x12 is probably better for that than a 4x4. You could forgoe the blocks as well. A lof ot people here are using skid foundations on gravel. That is how I have decided to build. If you want to use deck blocks, there are adjustible post bases you can get from Pylex. They go up to 7.5 inches wide I think. So you could laminate multiple 2x as your beam. These post bases work with the deck blocks. 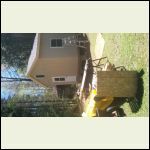 mine is 10' x 20' and used deck blocks with 4x4 going to 4x4 skids. just make sure your cross brace so the don't twist and fall over. Interesting. 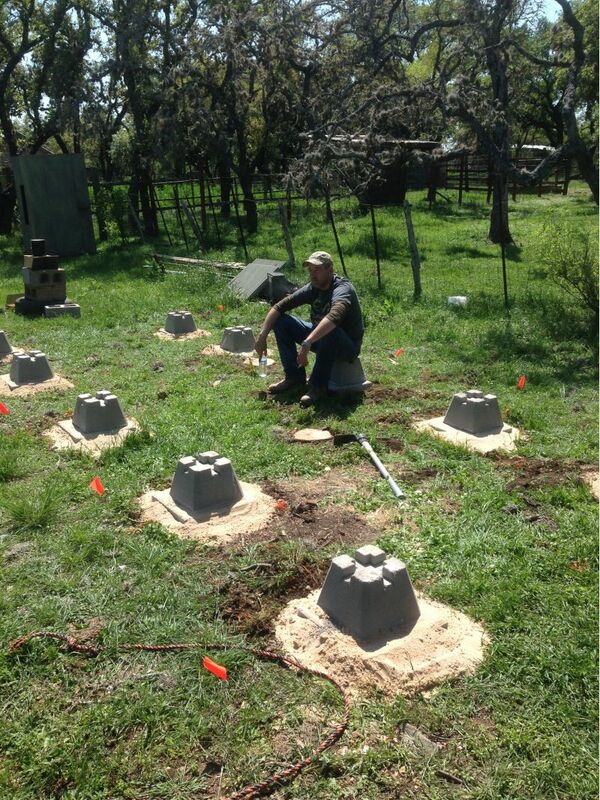 Running the vertical 4x4 would really help with leveling the structure. Did you end up running that 2"x10" cross bracing on all upright posts? the vertical 4x4 does make leveling very easy. and i did end up running vertical bracing between some them to keep the from shifting. I also have 18" x 18" x 2" thick concrete blocks below the deck blocks to help spread the load out and be able to move them around if needed. The verticals in the picture are on the tall end and then the other end, 20' away, are only 4" tall. I built it with the idea that if i ever need to move it i can drag it up on a trailer with the skids, just cut the verticals off. Or just drag it. Oh, slotting the 2x in there between the 4x4 posts is a very good idea. I haven't seen that before and is one of those.... doh.... that's obvious things. I have not seen that in any photo of using deck blocks before. That should make it a much more rigid structure against shear forces. I have seen people build really big structures on nothing more than 4x4 posts sitting in those blocks and I find it really disturbing. I used 2 laminated 6 x 6 pt skids ( stronger than a single post ) on a concrete filled concrete block on 2—16x16x3 shed pads. Has not required shimming yet. Are you still planning to use 4x4s as a beam? I think you can use a 4x4 as a skid, but I don't think it's a good idea to have it span anything. A 4x4 should not be used as a beam. A 2x6 has more compression strength than a 4x4, not to mention, the ability to span greater distances. 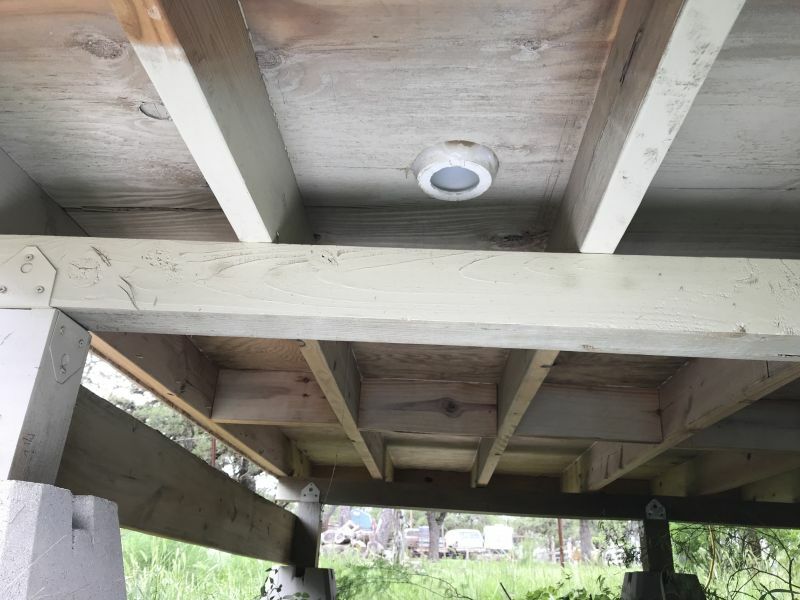 I would still up the size of the frame to at least 2x10 and if it was me, I would only put 2x12's under the supporting spans of a cabin. A 4x4's only strength is in the vertical position, not in the horizontal position. Sorry 30-06...those spans with a 4x4 make me nervous. “ DoRight points out that beam depth is more important than beam width. it's all good, i thought about using 4"x 6" and may on the next one. The span of the 4x4 is 5 feet (4' 11 1/8" from center to center of vertical) so I'm not overly concerned but if they do start to sag it will be easy to jack up and replace with a 4" x 6". Plus there isn't much load except for the building. No snow load down here for added weight. I built the foundation of my cottage addition on deck blocks. I leveled the ground and put in a 2'x2' patio slab down, then put the deck block on that. they have stayed level for 15 yrs now. 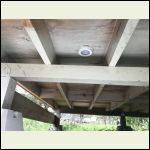 For a deck a double 2X8 beam can span 6' 2" between posts. A 2 X 8 floor joist on 16" centers can span 11' 10" according to my book. These are for #2 southern pine. 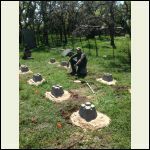 I built a 12 X 16 on block sitting on a poured footer with a four foot span. In east Tennessee which does freeze. fifteen years later it has no frost heave.